Congratulations you did it — you graduated high school. Now comes one of the most difficult decisions you will face for a while. It is time to make a career choice. 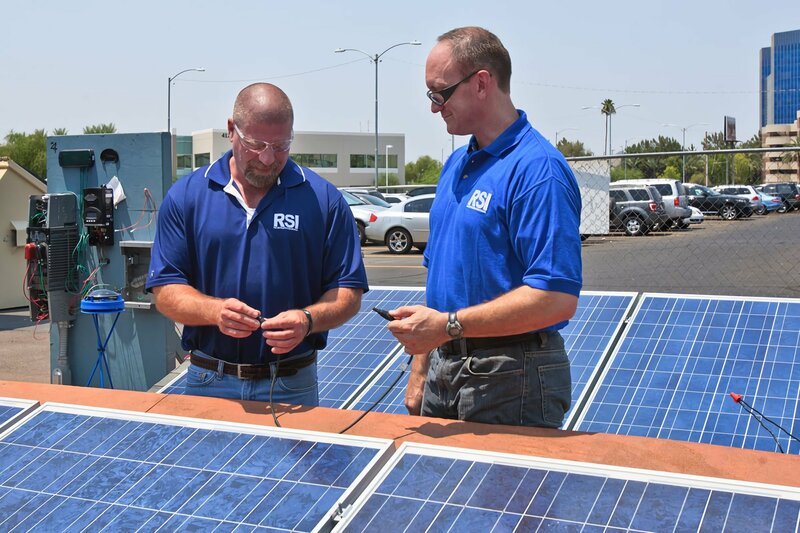 Why not consider a solar training program? In a world in constant search for alternative energy sources, the demand for solar technicians has grown. Even in today’s green conscious world, it is difficult to find a solar pv installer, and the demand is growing. By September 2012, solar energy jobs had grown by 13.2%, accounting for almost 14,000 new jobs in solar. Job opportunities in the field are expected to increase. A solar technician is someone who can truly make a difference, both in the lives of their customers and in the life of the planet. Reducing carbon emissions is important for both human and environmental health, so this work is literally changing the world in a positive way. The technician helps their customers establish an alternative energy source, which will save them money in the long run, help them become more energy independent, and reduce their carbon footprint. The benefits to the environment are also phenomenal as they reduce the burden on electrical facilities and reduce the need for non-renewable energy. Technical training programs, such as solar panel installer training, can help you learn the skills you need and prepare for certification exams in a short time frame. This allows you to move into the workplace faster and minimize the costs of your education. The courses are specific to the career you are training for without requiring you take general education courses that would not be directly beneficial to your career. Technical training programs also emphasize hands-on training so you gain the skills you need through first-hand experience before even moving into the job market. There are so few people and business using solar energy now that it is virtually an untapped market with an almost endless supply of potential customers. In 2011, 9% of US energy consumption came from renewable energy sources. Of that 9%, only 2% was generated by pv/solar power. Every household and every business uses energy, and there are many positive incentives for consumers to install solar panels and incorporate solar energy in their daily lives. Businesses are constantly looking for ways to save money and become greener, and both can be accomplished through the use of solar energy. Many major corporations, including Walmart and Costco, are turning to solar power and other renewable energies to power their stores. If you are looking for a career with great demand that you know is going to be around for a long time solar energy is a great choice. If you want to make a difference in the lives of others and the life of our planet, solar energy is a great choice. If you simply want to learn a technical trade quickly and start earning right away, then solar systems training is a rewarding place to start.